Can you tell us a bit about your roots, Danish background and the path that led you to launching an online store? It’s funny, I can’t actually remember a time when I wasn’t fascinated with design. I think maybe it’s in my blood. I grew up in Denmark, where my Dad is a buyer and product developer in the fashion industry. I have memories of being on family holidays and trawling through vintage shops in San Francisco, stores in Paris, Barcelona and Amsterdam - With my Dad, looking for inspiration for “The Next Big Thing.” As a young girl, I would beg him to take me to the Trade Fairs in Milan and other parts of Europe. And once I was actually old enough, he really did take me. So I knew from a very young age that I wanted to be a buyer. After I graduated university, I won a global internship that allowed me to work in buying departments in Canada, New York and Hong Kong. Eventually I ended up in Melbourne in Australia in a fashion-buying role that I absolutely loved. But after the birth of my daughter Clara (now 4) I realised that I needed a career change. Fashion was hectic and crazy and wonderful, but not always family friendly. Suddenly 70 hour+ workweeks and constant overseas business trips didn’t seem feasible. I decided I wanted to start my own small business and starting a Scandinavian design-focused store felt incredibly natural. How would you describe your personal style and how is this reflected in the products you stock? This question is so funny, because I look down and realise that my personal style is a mirror image to the products that we stock. Ha! For example, I rarely wear black, I’m not afraid of colour, I love clean lines and I will often accessorise my outfits with a touch of brass. And in regards to the products that we stock, we only stock very select black pieces, lots of designs in soft colours, products with beautiful clean lines and I love metallic products in brass, copper and nickel. After this interview I may have to start dressing differently! What do you look for when seeking out new brands and product ranges? A few different things, but we do love a good back-story. A good story behind a brand or range gets us every time. Also we look for authenticity, quality and value. Apart from that, we always try to keep on top of trends. I must get that from my Dad. I’m still searching for The Next Big Thing. 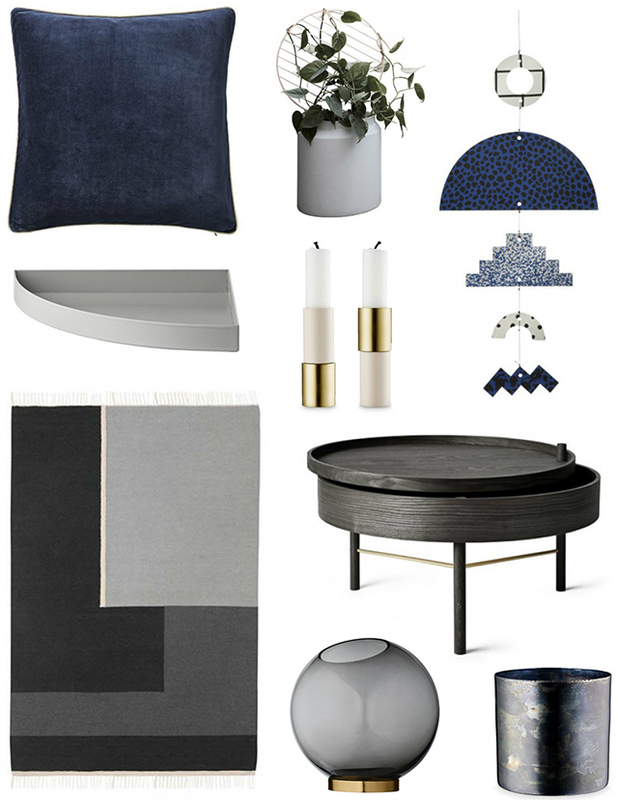 It's great to see that you stock so many of TDC readers' favourite Scandinavian brands, including recent arrivals from ferm LIVING, HAY, and Menu to name just a few! What is it about these brands that you love? We love ferm LIVING, HAY and Menu too. It’s interesting, on the surface maybe these brands don’t feel aesthetically similar but something that unites them is their constant pursuit for designs that take risks and set new trends. All three brands regularly ask designers from other studios to collaborate with them on product designs. We love this! It’s such a great way to keep things fresh and exciting. What would be your favourite product picks right now? Within our Child + Baby category, definitely the Tower Chair by BZBX – It’s just so adaptable, we love that a child can sit in the same chair from six months through to seven years. 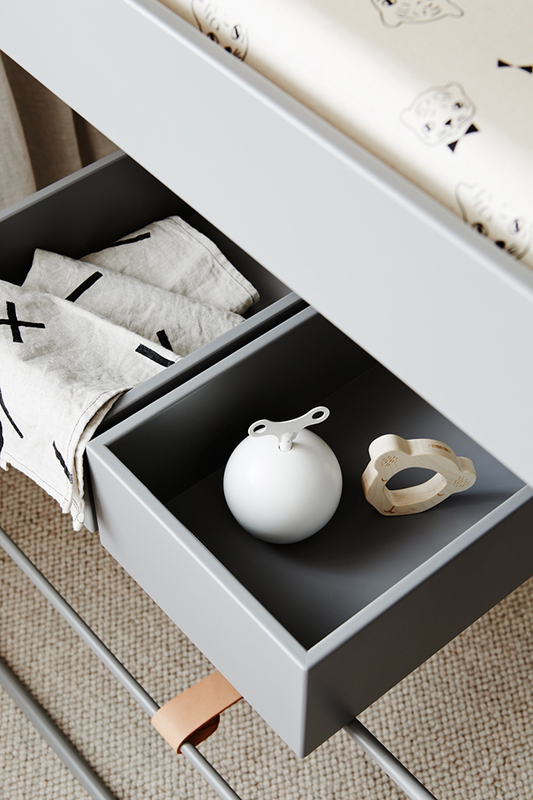 Also, we love its clean lines and fresh Scandinavian styling. 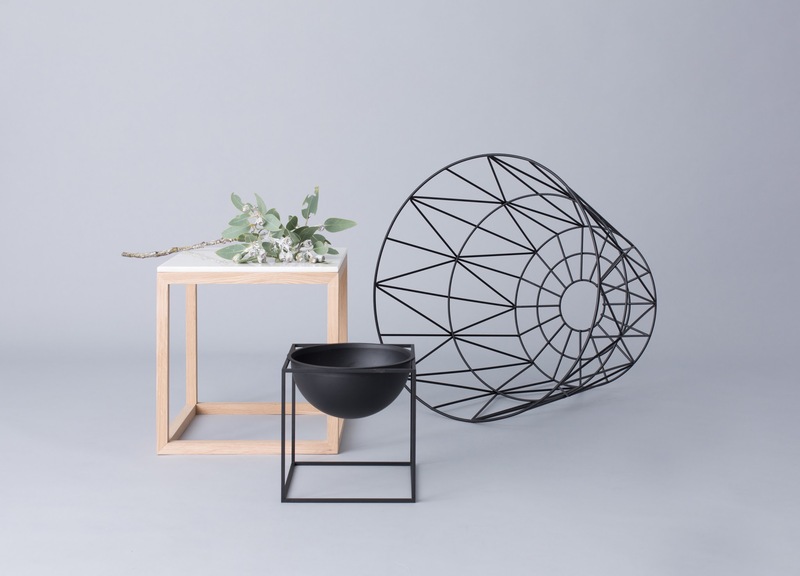 As for homewares, a personal favourite is the Globe Vase by new Danish brand AYTM. We opened the box up last week and we were all blown away. It is so much bigger then you expect. It creates a really beautiful statement without being too overpowering or showy. 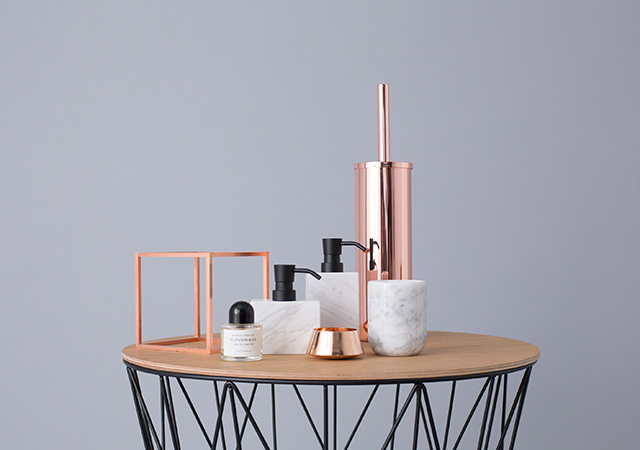 I also love the Greek marble range by Mette Ditmer. Mette is Danish too, and she’s created the most beautiful bathroom accessories using real Greek marble. There’s a soap dispenser, a tumbler and a toilet brush all accented with matte black nickel. The range is truly beautiful. What have been your most popular products to date? Definitely the Tower Chair, the Menu Bottle Grinders, the Adventure Rug from Oyoy, quilts from Cam Cam and anything ferm LIVING does in brass. Our customers are crazy for brass. Do you travel often for work... trade shows, buying trips etc? Any exciting trips coming up or projects in the works? I get back to Denmark at least twice a year and when I’m in Europe I always make it a priority to travel to Stockholm and Paris. I feel like between Copenhagen, Paris and Stockholm I can really get a feel for what the up and coming trends are and what might work well for Australia and New Zealand. 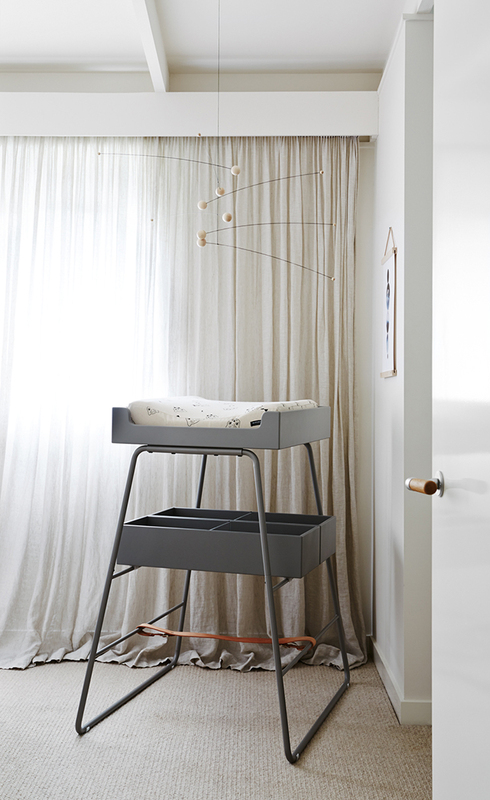 Also, I try to attend Maison & Objet and Northmodern every year but it can sometimes be hard with two young kids. I think I know now, why my Dad made me wait till I was older before letting me attend trade fairs with him! Who is the voice behind your Instagram account? It’s actually Monica, one of the girls on our small team. Can you believe that before I made her responsible for our Instagram account, she had never actually been on social media before? Never been on Instagram and never had a Facebook account? I think it’s amazing how well she’s done considering she was a complete social media novice. It’s definitely her calling! She is such a natural. You have built up an impressive Instagram following! What role does it play in your day to day business? Who are some of your favourite Instagram accounts? Yes, it’s incredible; Monica’s grown our following from 2,000 to over 95,000+ in little over a year! I think it’s because her genuine passion for design and interiors really shines through. Her enthusiasm is infectious and our followers love how relaxed she is. There is no snootiness or snobbery, which is exactly how I want our team to represent Designstuff. In day to day business Instagram helps a lot. Being an online business, our customers need to be able to reach us on as many channels as possible and a lot of people prefer to contact us via Instagram. They like the immediacy and fun of it. My favourite Instagram accounts are: @simonlarsen, @matharrison, @simonehaag, @hellomala, @tuulavintage, @dane_studio, @tessguinery, @_sophiajames_, @huxbaby, @sallyfazeli, @biancacash, @virgola_, @curated_by, @tarapearce, @designdevotee, @petraholain, @zotheysay, @whitefortype, @aimeestylist, @ameliabarnes, @sarah_kelk, @mimdesignstudio, @amerrymishap, @sophie_vine, @scandifan, @casieeeesmith, @jessicahansonstylist, @jardanfurniture, @menuworld and of course @thedesignchaser! But I could go on and on and on…! What else inspires you... on the web, other creatives, travel etc? Definitely Danish interior magazines. I subscribe to a select few, and find them endlessly inspiring. I find RUM Interior Design magazine particularly inspiring. 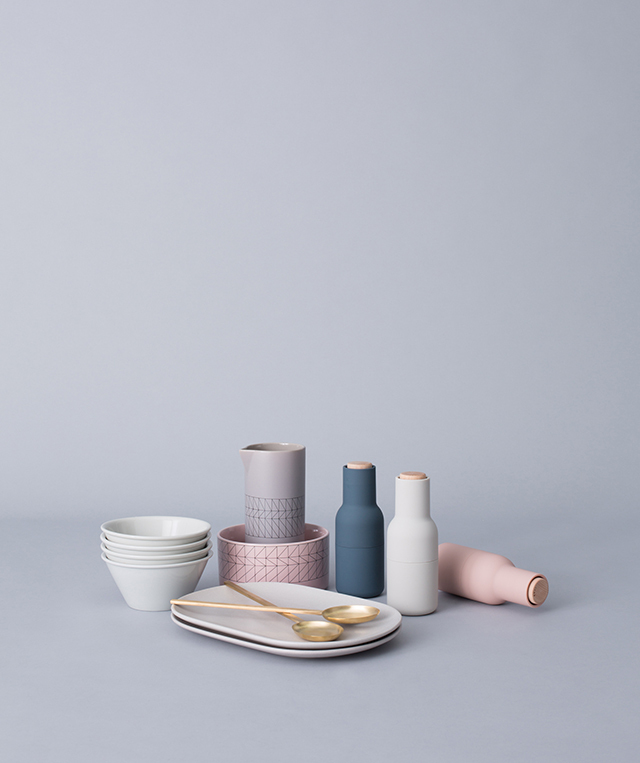 On the Melbourne interior design scene, I always love what Hecker Guthrie and Mim Design Studio are doing. And on a more personal level I draw a lot of inspiration from my team and my family. They all have such exceptional taste, even my four year old! What a wonderful insight into the world of Designstuff! Huge thanks to Christina! To finish off, I am delighted to tell you that Designstuff are very kindly giving TDC readers an exclusive offer of 15% off storewide. The offer can only be used once per customer but is open worldwide, and will run indefinitely (unless otherwise notified). Simply enter the code TDCBLOG at checkout. Please note that the code can only be used once per customer and does not apply to shipping costs.